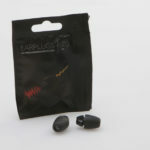 "These earplugs were comfortable to wear, and provided a good quality of sound. 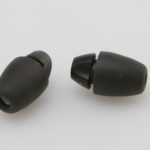 My only issue is that they came in a rather flimsy plastic package, it would be great to see them in a more robust box or tube so you don't have to worry about them getting damaged in your pocket." "Do a decent job of reducing volume levels, but muddy up the sound a touch."